Multiple genetic variants within the FUT2 gene that makes some people especially susceptible to middle ear infections discovered by scientists at the University of Colorado Anschutz Medical Campus. Those who possessed the genetic variants had a much higher chance of getting the infection. "If you have these mutations, you will have a slightly different microbiota which could elevate the risk of disease," Santos-Cortez said. The finding could eventually lead to new ways of determining who is likely to get the infection. The study confirmed expression of FUT2 in the middle ear which is spiked within 24 hours of bacterial infection. But the FUT2 genetic variants decrease presentation of A antigen used by bacteria to gain access to the middle ear lining. 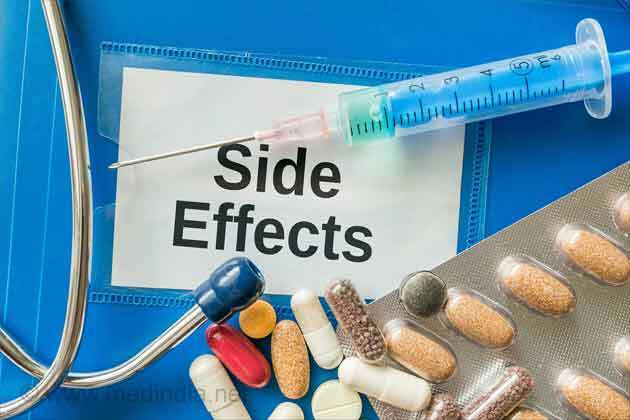 Neurological complications, including hearing loss, facial paralysis, meningitis and brain abscess can occur due to improper ear infection treatments, finds a new study. In the U.S. nearly 2 million cases per year are incorrectly diagnosed and unnecessary antibiotics are prescribed causing, antibiotic resistance. Cholesteatoma is a benign cystic growth of the ear located behind the ear drum in the middle ear. It consists of dead skin cells and is pearly white in color. It occurs mostly as a complication of repeated middle ear infections. Perforation of the eardrum separating the middle ear from the outer ear leads to hearing loss. 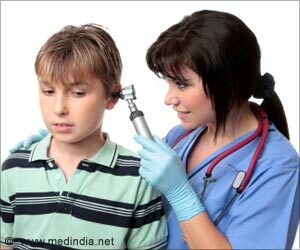 Middle ear infection, trauma, and use of external objects are some of the causes.